Dispensaries / Canna Clinic Vancouver Commercial Dr.
Canna Clinic Vancouver Commercial Dr.
One of Canada’s leading procurers of medical cannabis products. 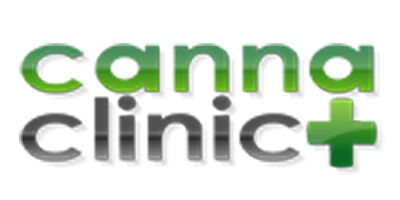 Canna Clinic Commercial Dr. is a Vancouver dispensary committed to providing patients with safe and convenient access to both medical marijuana strains and science-based education. The breadth of Canna Clinic’s knowledge is evident in their staff, who are happy to assist you in selecting a cannabis product that meets your medical needs. In order to best serve customers, members, and patients, Canna Clinic offers a wide variety of marijuana strains, flowers, and hashish, but also a variety of apparatus to ingest your medicine. Including, but not limited to, tablets, extracts, edible oils, butters, suppositories, oils for vaporizers, and cannabidiol (CBD) products. Canna Clinic is active on social media, and encourages you to follow their pages for up-to-date information on daily and weekly deals, workshops, and important news. If you are interested in becoming a member of this BC dispensary, and are 19+ years of age, please visit one of several Canna Clinic locations with valid government ID. Happy hour occurs between 5pm and 7pm and features 10$ off butter and shatter while additional deals on select cannabis products change by the day. Please visit their website for more information on membership and offerings.